The fastest growing tech conference in North America will take place in Toronto from 20-23 May. NCCC member Handelsroute.nl will organize a business trip where this tech conference is central, but also where networking events, individual introductions, market entry information and company visits are on the program. To optimally prepare your visit to Collision, the Canadian Embassy in The Hague, the Netherlands Canada Chamber of Commerce and Handelsroute.nl are organizing a briefing and networking event on 23 April in Leiden. You are very welcome if you go to Collision or are considering going to Collision. We would like to let you know how you can maximize your return on your visit to the conference and Toronto. Collision is taking place for the 5th time this year, but for the first time in Toronto. This tech conference brings together more than 25,000 participants from 120+ countries. The first 100 speakers have already been announced. The tech conference brings together CEOs, startups, multinationals, investors and the media. Toronto: The place to be in tech! Toronto has the largest tech scene in Canada and is third on the list of the whole of North America. With more than 18,000 tech companies, Toronto has put itself firmly on the map as a tech hub. Toronto is expected to have more technology jobs within 2 years than Silicon Valley. The 2019 NCCC Annual General Meeting and Company Visit will be held on 23rd April at the Brouwerij Pronck in Leiden. The AGM will run from 14.15 - 16.00 and is open to members only. The meeting will be followed by a tour of the brewery. The brewers will tell you everything about beer, the brewing process, ingredients, and so on. When you login and register as a member, you will be automatically registered for both the AGM and the brewery tour. During the tour part of the programme, another event will run concurrently. This briefing event, organized by the Canadian Embassy in The Hague, the Netherlands Canada Chamber of Commerce and Handelsroute.nl is for guests and companies interested in doing business in Canada and who wish to attend the Collision event in Toronto in May. More information can be found here. Please spread the word within your network to companies that may be interested. Parking is available at a number of locations within a few minutes walk from the location. Public transport brings you less than 1 minute walk from the brewery. At the end of the afternoon, we will have a networking session where both groups will have the opportunity to mingle, make new acquaintances and of course, sample some of the brewery's finest ales. Your vote is needed to ensure that the business of the NCCC is properly conducted and recorded. If you cannot attend the meeting in person, please sign the proxy form and send it to the office before the meeting. "North America's fastest-growing tech conference"
Collision brings together the people and companies redefining the global tech industry. Join them in Toronto in May 2019. This year over 25,500 people will come to Toronto for Collision. We’ll be joined by the CEOs and founders of the world’s biggest companies, as well as some of the most promising new startups, influential investors and leading journalists. We live in uncertain times for tech and business. At Collision, we welcome the people who are tackling the big challenges facing industry today. Our stages cover topics ranging from data science and content to autotech and environmental sustainability. Your ticket grants you access to all tracks taking place at Collision. Get your tickets here. Collision 2019 will be held at the Enercare Centre in Toronto, Canada on May 20 – 23. Are you active in de Life Sciences & Health sector and interested in doing business in Canada? Join us from the 18th till the 25th of June on a trade mission to Canada. The trade mission is an opportunity for your company or knowledge institute/research centre to introduce yourself in Canada and explore the possibilities further. The Toronto area houses a number of renowned institutes, hospitals and companies that specialize rehabilitation. There are many different innovative concepts, products and applications in this field. This is a trade mission is for Dutch entrepreneurs, CEO’s or CTO’s, researchers and medical doctors of hospitals and knowledge institutes/research centres active in the sectors Life Sciences & Health, High Tech Systems & Materials and IT. This is a dedicated trip for the rehabilitation sector. Smart aging, robotics, sensoring, gaming, artificial intelligence and eHealth solutions are important application areas. Multiple chronic illnesses and preventive measures like lifestyle or behaviour modification play an important role in this mission. Our visit to Waterloo focusses on technological innovations that improve the lives of elderly people living unassisted. The goal is to exchange knowledge and to get a better understanding of the circumstances that scale up technological innovations to market ready products. And to explore which possible collaborations have an positive on this. There will be an information market (Tech Readiness Market) and a symposium organised together with the University of Waterloo (a long standing partner of the University of Twente). In Toronto the focus will be on rehabilitation medicine to improve the quality of care offered to patients based on knowledge derived from scientific research, the application of technological and other innovations and networks within the healthcare system. Achieving the greatest possible autonomy and participation for these patients is one of our core aims. RehabWeek, the world’s largest conference on rehabilitation, takes place in Toronto. Participants of the trade mission can visit the Rehab Week. In Toronto we’ll visit one of world’s leading rehabilitation and research clinics in the world: The Toronto Rehabilitation Institute (TRI). TRI will host us a whole day with a range of different activities. There will be a symposium on the latest developments and innovations from the TRI and the Netherlands. There will be a visit to the Rehabilitation Engineering Laboratorium. There will be opportunities to meet Canadian companies and investors during a matchmaking event. 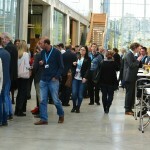 The Agri Food Innovation Event is a focused business, technology and research platform, unique in bringing together European and global companies from the entire agrifood supply chain (from farmer to enduser, with customers, producers, retailers and researchers). 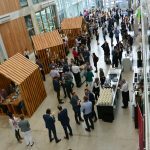 The location, Brightlands Campus Greenport Venlo, is in a region in which the agri-food business is one of the most productive, sustainable and profitable in the world; where food innovation is in the entrepreneurs’ DNA. The two-day Agri Food Innovation Event (June 26-27, 2019) includes four dedicated conferences Healthy Nutrition Conference, Vertical Farming Conference, 3D Food Printing Conference, Smart Farming Conference, Central expo, and a Networking dinner. On Tuesday 10 September the photonics community will gather for the only Dutch event in photonics: DutchPhotonicsEvent. 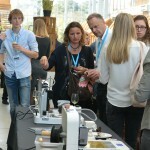 This unique Dutch event will take place at the TU Delft. As you may expect from us the program will be very divers, consisting of a conference, exhibition, workshops, Women in Photonics Lunch, Poster Prize, B2B matchmaking, networking and more. We look forward meeting you on Tuesday 10 September! This exclusive event is only open to Patron members in good standing. The invitation will be sent from the Embassy to our regular contact. However, another member of your company may attend instead (upon prior written agreement). The dinner will be hosted by the Canadian Ambassador to the Netherlands, at her Official Residence. The NCCC Board will also be in attendance. More details will follow directly from the Canadian Embassy. 06 Dec 2016 CETA Seminar: What Does It Mean For You? 14 Jun 2016 Cybersecurity and Anti-Bribery - Are you secure? Do you comply? Terms and Conditions of the Netherlands-Canada Chamber of Commerce can be downloaded here.